Hello! I'm having some trouble identifying this print. 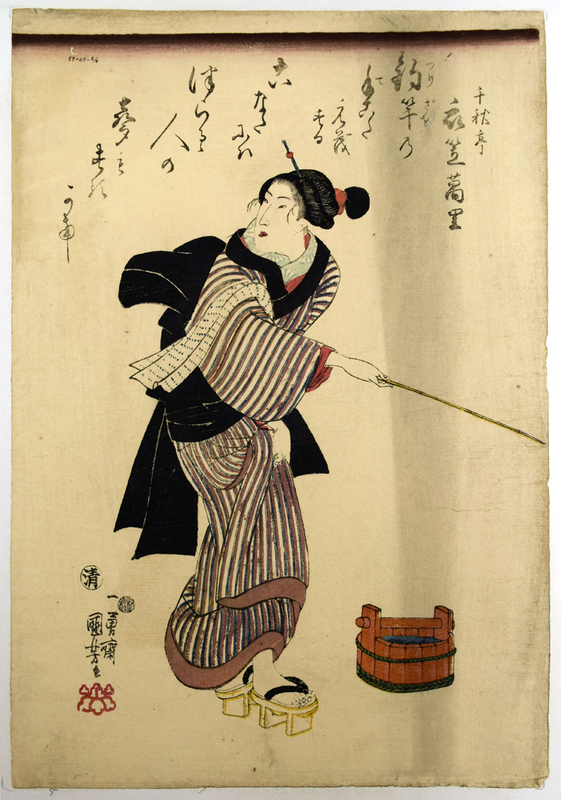 I've gotten so far as to ascertain from the signature and seal that the artist is Kuniyoshi (and please correct me if I am wrong), but I cannot find the title, series title, or subject matter anywhere. Thanks for any help anyone can provide!